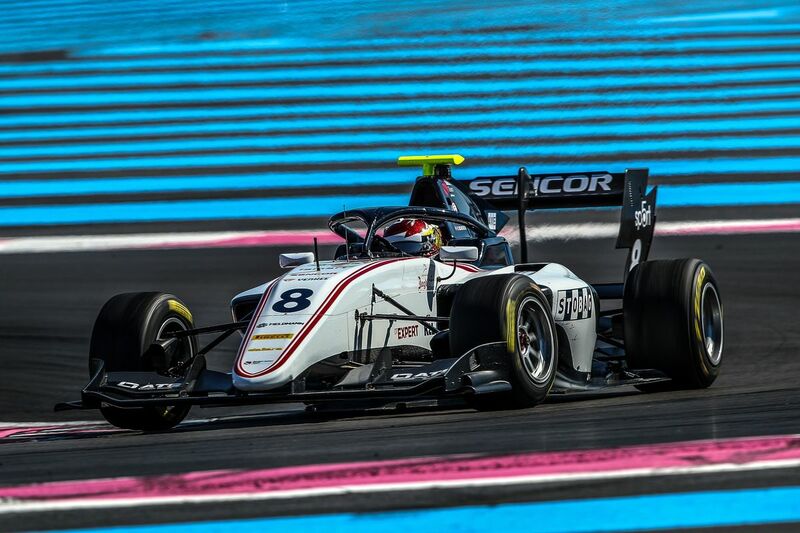 Swiss racing driver Fabio Scherer got his first taste of the car he will race during the 2019 FIA Formula 3 Championship season after completing a two-day test in the south of France today (Thursday). The talented 19-year-old was confirmed as one of the drivers that will race for the newly-formed Sauber Junior Team this season. The exciting partnership connects Fabio with Sauber Motorsport, the Swiss organisation that has been competing in Formula 1 for more than 25 years and currently runs the Alfa Romeo Racing team in motorsport’s top category. At the first of three official pre-season tests, Fabio linked up with the Sauber Junior Team by Charouz engineers to complete two days of running at the 5.84km Le Castellet Circuit – the home of Formula 1’s French Grand Prix. The Stobag-supported driver successfully completed 135 laps on Wednesday and Thursday, recording 788 kilometres of vital running in preparation for the opening F3 races of the season at Circuit de Barcelona-Catalunya in Spain on 10-12 May. “This is an exciting year for me so it was fantastic to get behind the wheel of a racing car for the first time since November in Abu Dhabi,” Fabio said. Fabio managed to complete an extensive programme of performance and race runs that was set by his team during the test, although he did lose some track time with a throttle problem on the second day. “The technical issue compromised my performance run this afternoon but I still managed to set a best lap time of 1m 50.1s which shows there is a lot of potential in what we have and the direction we’re heading,” he explained. Fabio will return to official F3 testing action at the Circuit de Catalunya, Spain on 9-10 April, before the final pre-season familiarisation sessions takes place at the Hungaroring in Hungary on 17-18 April.